What has motorcycles, tattoos, rock and roll, and supports a great cause? Love Ride 32 is an annual one day motorcycle charity that will be taking place on October 18th. Over the years the ride has helped to raise 24 million dollars in the past for causes such as the Muscular Dystrophy Association, United Service Organization and Autism Speaks. This event brings together thousands of motorcycle enthusiasts from around the country to support this noble cause by riding from Glendale to Castaic Lake for a standout Foo Fighters and Social Distortion concert, motorcycle trade show, motorcycle stunts, and gourmet food trucks galore. 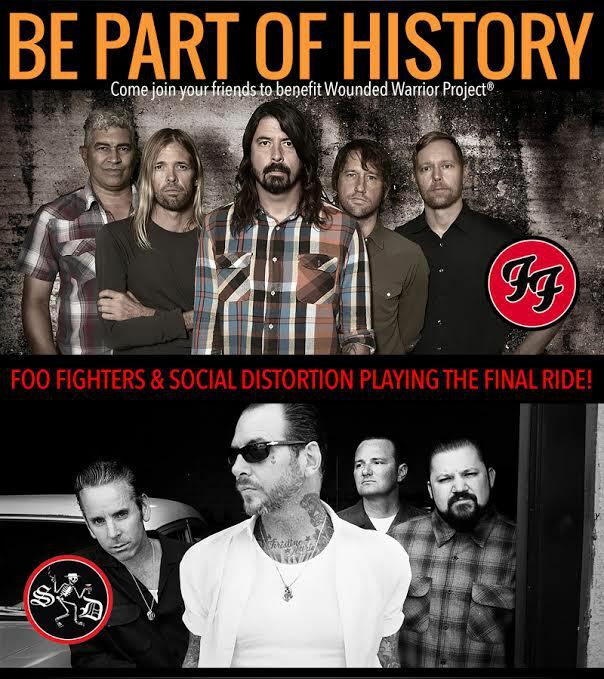 This year, Love Ride has teamed up with Brian Keith Thompson, owner of celebrity tattoo hotspot Body Electric tattoo, Jay Leno, and Dave Grohl of the Foo Fighters to raise awareness for this year’s charity, the Wounded Warrior Project. Thompson, a former US Marine and current owner of Body Electric Tattoo, will be judging a tattoo contest on social media to help raise money for a cause that hits close to home. The tattoo contest is comprised of several different categories which represent different aspects of the event. There will be a “Best Heart Tattoo” for Love Ride, a “Best Motorcycle Tattoo” for top sponsor Harley-Davidson, a “Best Military Tattoo” for the Wounded Warrior Project, and a “Best Foo Fighters Tattoo” for the Foo Fighters. Winners of each category will walk away with free concert tickets and a selection of Harley-Davidson merchandise. Inked had the chance to speak with Brian Keith Thompson on his involvement with the charity fundraiser. What is Love Ride for those who have never heard of the event?